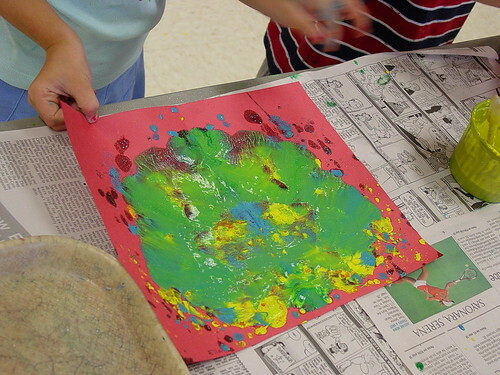 :: today at arts-based preschool; children making "surprise paintings". 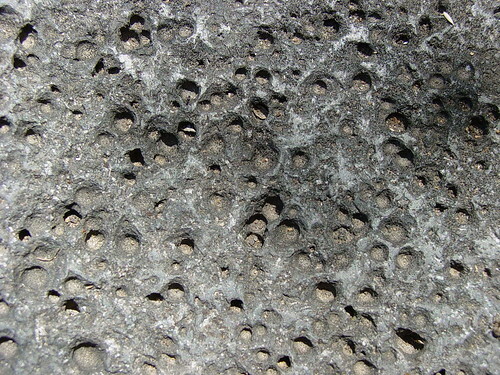 :: the holey surface of an old stone used by Native Americans to grind corn. Another antique that belongs to my husbands parents. I like this texture as it reminds me of pinholes.